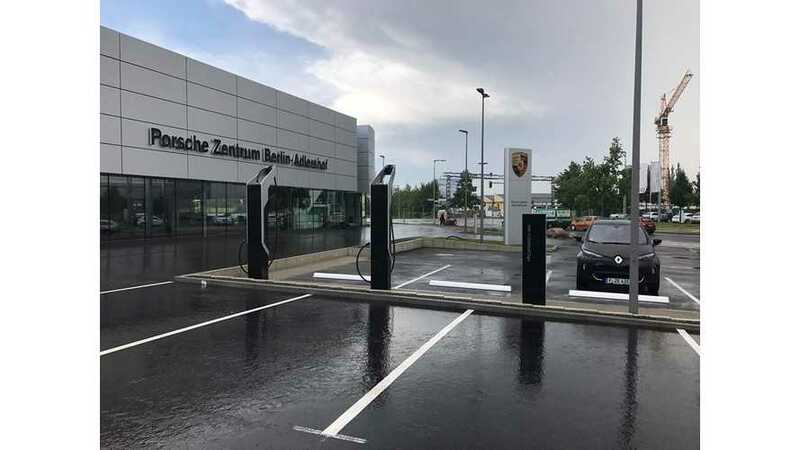 The Porsche center in Berlin-Adlershof, Germany is the first place in the world to get 350 kW DC CCS Combo fast chargers installed for the upcoming Porsche Mission E cars, which heads into production in 2019 (at a build rate of 20,000 per annum). The site is also equipped with two AC charging spots and two DC, that still are apparently awaiting official certification for use. 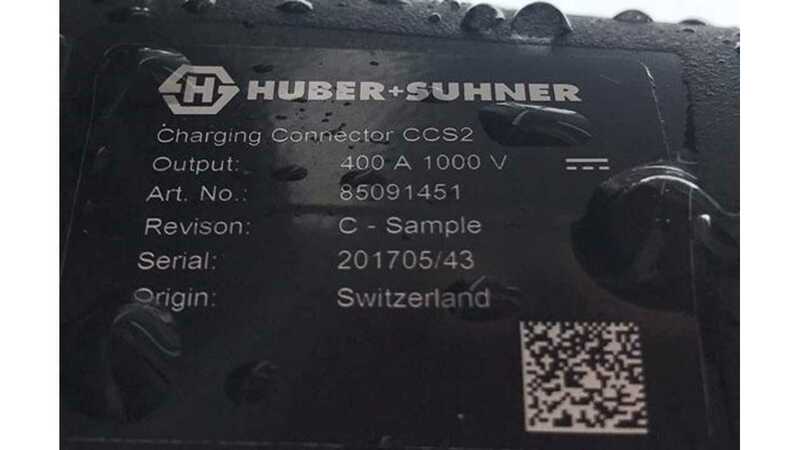 The units have HUBER+SUHNER liquid cooled cable and connector, good for 400 A and 1000 V (see image). 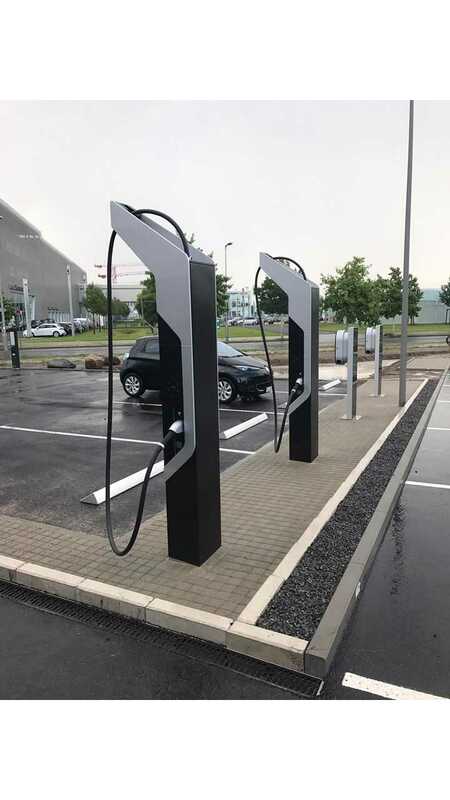 The chargers themselves are developed by Porsche Engineering, and supplies up to 800 V.
The charging power is to be up to 350 kW, but the chargers should be able to charge older, lower-power EVs - like the 50 kW standard chargers of today. 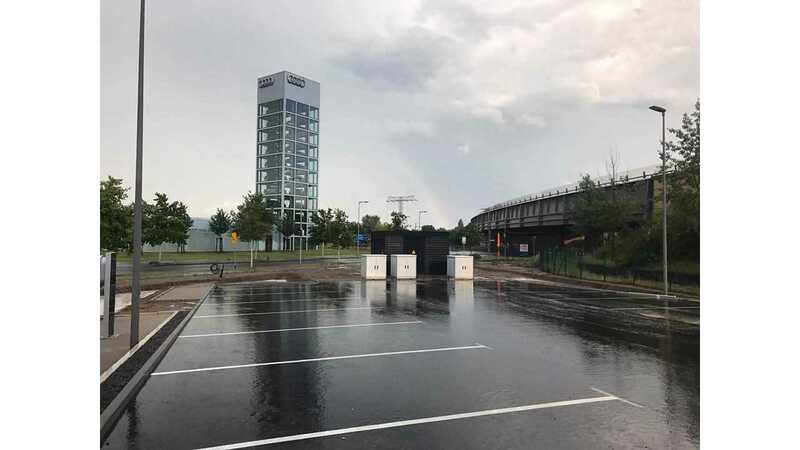 German news Electrive (in German) stated that a second such station is under construction at the company's US HQ in Atlanta.